An iridescent hummingbird flashes its ruby throat as it steals a bit of nectar from this succulent wreath of flowering trumpet vines. A hand-painted finish completes the fanciful naturalism of this masterfully sculpted piece. 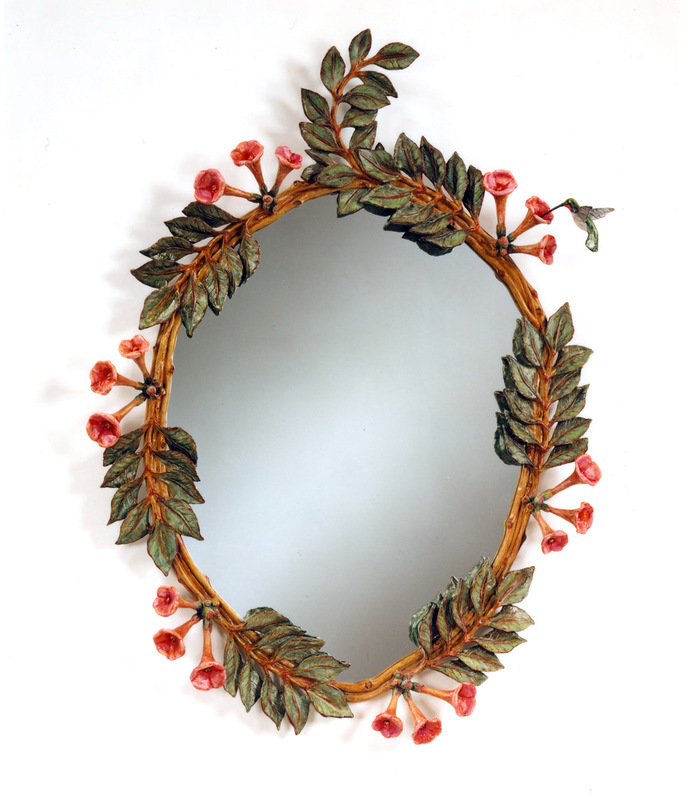 Carol Canner won a design achievement award from the American society of Furniture Designers for the Hummingbird and Trumpet Vine mirror.